I love to read through cookbooks and food magazines. The few times I have fasted, I’ve spent hours gorging myself on the pictures inside, able to taste each ingredient and imagine how they would all go together. My husband would just shake his head at me – unable to understand why I would do that to myself, though I thoroughly enjoyed it. By the time the fast was over, I’d have a whole slew of new things to try. I have never roasted peppers before, so this was a new thing for me. To roast the peppers, put them in an oven heated to 425 for 30-45 minutes, turning carefully with tongs every 10 minutes or so. It’s important to watch them closely so you don’t over do them. Once they get that charred skin, take them out, let them cool, then peel under cool water and put aside. I have not yet had success at filling the peppers and keeping them intact, but it still works. When the filling is in, I just wrap the peel around it, reshaping it and holding it together while I coat it with the egg wash and then the panko crumbs. Once they are lined up in the dish, they hold together well. -Preheat oven to 425. Heat oil in skillet over medium heat. Add onion, and cook 5 mins. 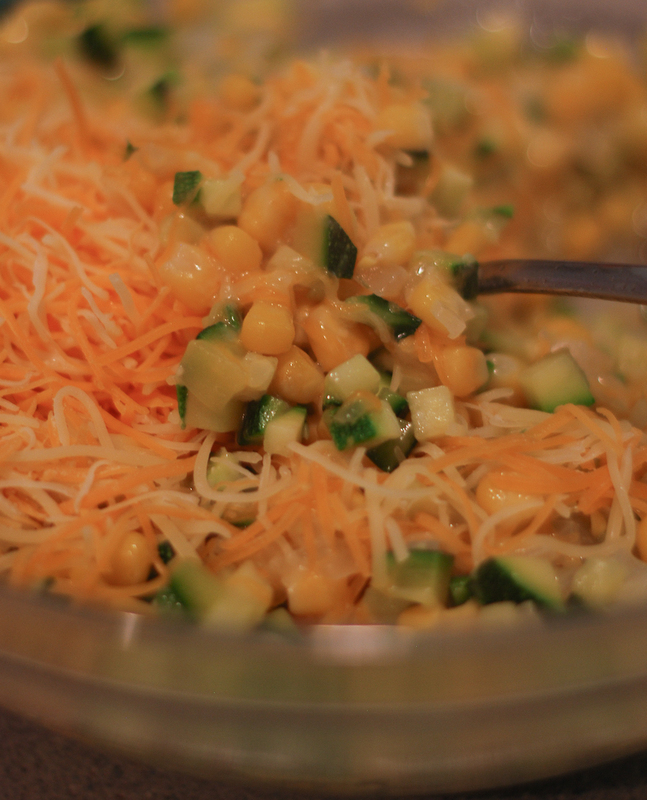 Add zucchini and corn, and cook 5 mins. Season with salt, if desired. -Transfer to bowl and stir in cheese. – Stuff each chili with 1/2 cup zucchini mixture. Secure closed with toothpicks. – Whisk egg with 1/2 c of water in bowl. Spread breadcrumbs on plate. 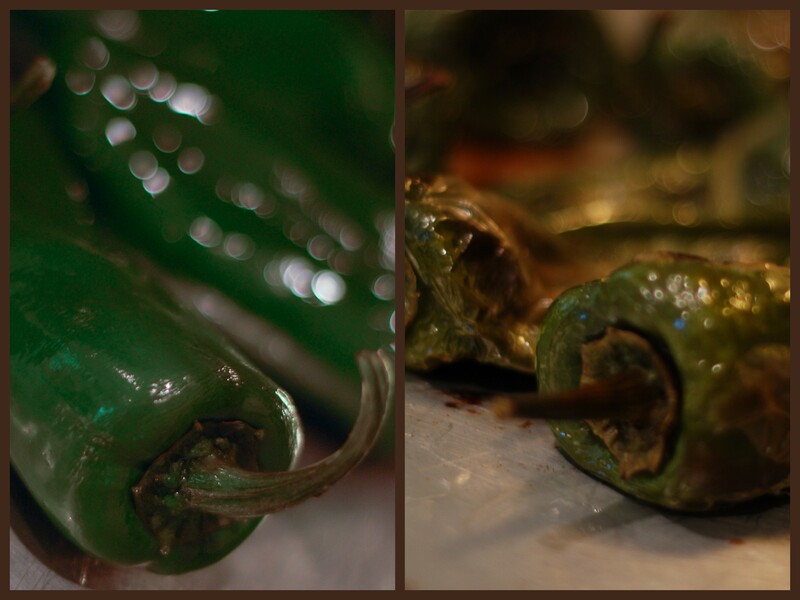 – Dip chiles in egg wash. Coat with breadcrumbs. Place on baking sheet, and bake 15-25 mins or until golden. 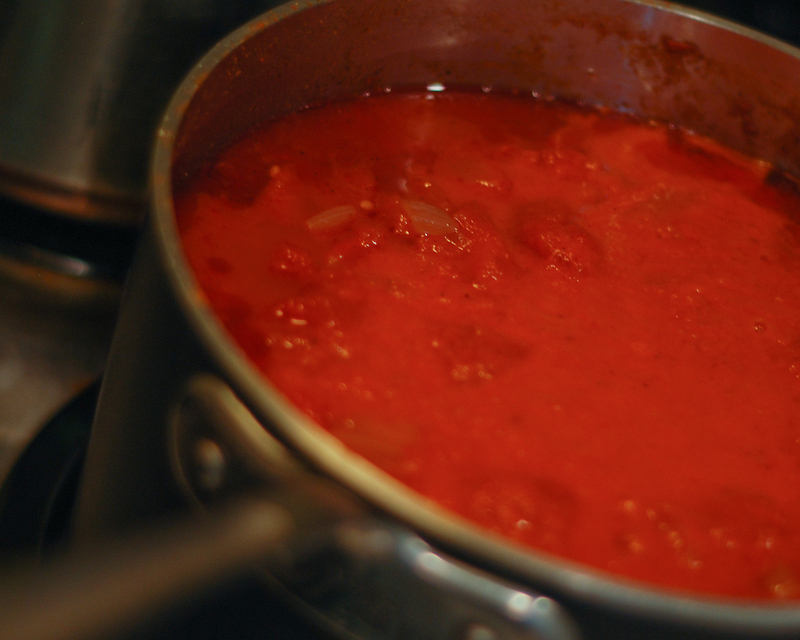 – Make the sauce: Heat oil in sauce pan over medium heat. Add onion, chili powder and cumin and cook 4-5 mins. Add tomatoes, and simmer 10 mins, breaking up tomatoes with spatula or wooden spoon. Transfer to blender, add chipotle chile, and blend on low speed until sauce is smooth. 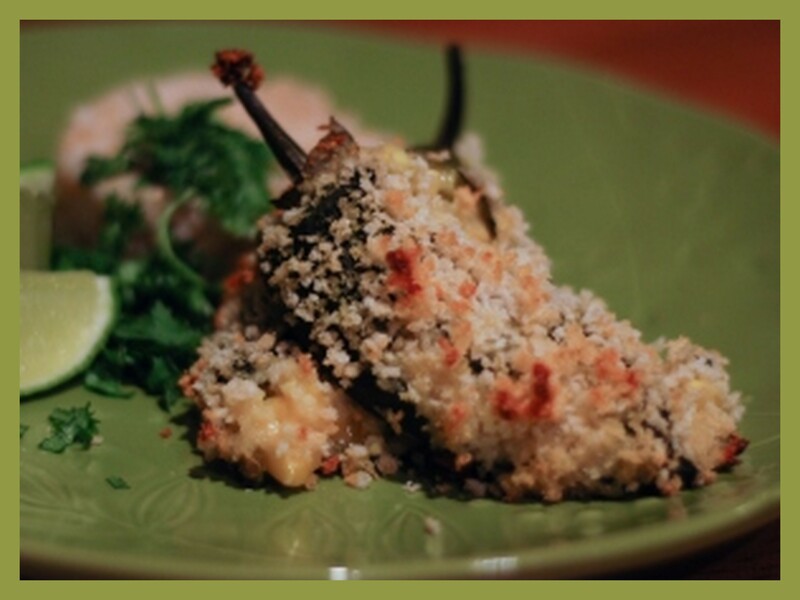 Serve Chiles Rellenos with sauce, cilantro, lime wedges and sour cream/yogurt. This is a great dish to make ahead. Just put them together, stick ’em in the fridge, and cook them when you’re ready to eat. Hopefully you’ll like them as much as I do. If you try them, please let me know!